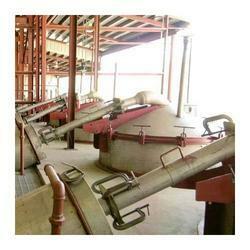 Being a customer focused organization; we are engaged in manufacturing and supplying Cow Urine Distillation System. To make sure that our product-line is in tandem with international quality standards, we manufacture these systems using optimum quality material. Besides, we make sure that the systems are timely delivered at clients’ destinations using easy shipment modes. 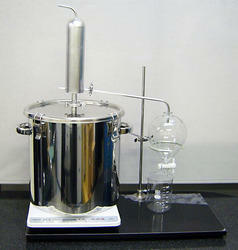 We are engaged in manufacturing and supplying high quality Distillation System. The offered systems are made using high quality spare parts and components that are sourced from vendors of high repute. These platforms are offered by us in various specifications and can be customized as per clients’ requirements. Field Distillation Unit Ylem Energy --Oil Field Distillation Unit are used for the distillation and extraction of essential oils from herbs, shrubs, leaves, roots or whole plant by passing the saturated steam. 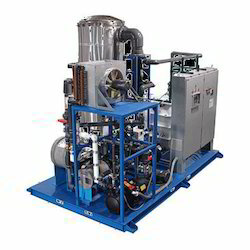 The FDU consist of built-in-boiler tubes submerged in water for producing steam. Ultimate product for distillation-- FDU can be set up and operated without any technical and highly skilled labour and it can also be operated without power. Cost of a FDU is much lower as compared to a Boiler operated unit.